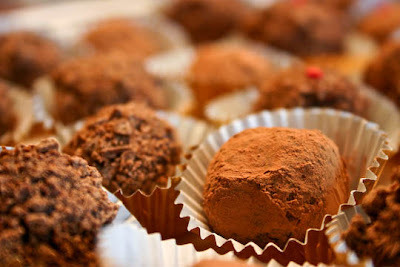 Homepage / candy / Chocolate Ganache Truffles. Need a last minute Valentine’s treat? After my failtastic attempt at making fancy heart-shaped truffles this Valentine’s Day, I was left with two different sort of ganache fillings in my refrigerator, one batch made with a teaspoon of espresso powder for mocha truffles and the other with ground almonds, vanilla, and cocoa powder for a rich almondy truffle. And they were just waiting to be eaten with a spoon. Instead, I rolled the ganache in cocoa powder and a crushed Hershey chocolate bar. 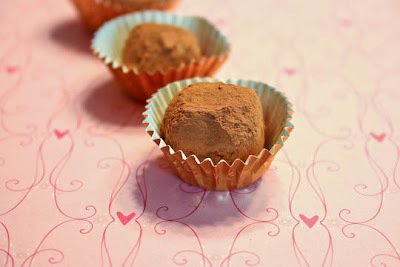 Instant truffles! I love when mistakes work out. Place the chocolate, heavy cream, and sugar in a small microwave-safe bowl. 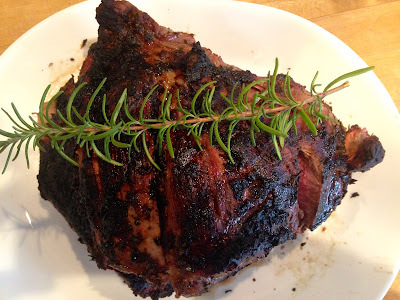 Cook on high power until mixture is warm to the touch, about 20-30 seconds. Whisk until smooth and place bowl in the refrigerator to chill for about 30 minutes or until firm enough to scoop out and roll into balls. 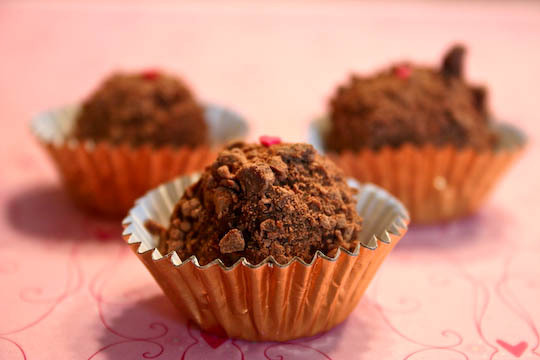 Use a melon baller or a teaspoon to scoop out ganache and roll into balls. Roll in desired topping. Eat for breakfast, preferably with white wine, cheesecake, and somebody you love. 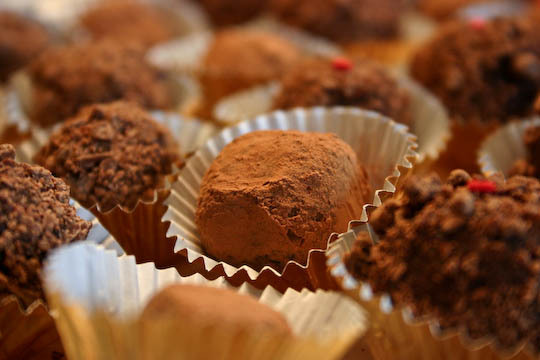 Tip: Store truffles in the refrigerator to keep firm. Source: Idea from Joy of Baking. Previous post Red Lobster Cheddar Bay Biscuits.